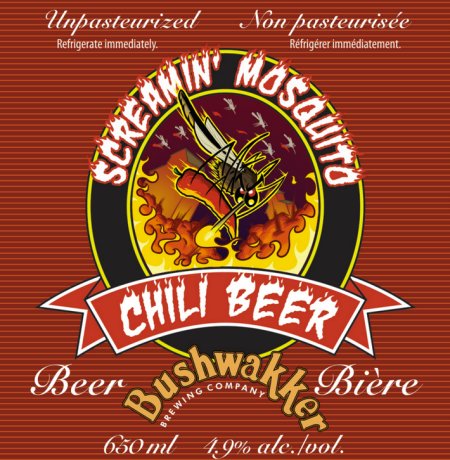 REGINA, SK – Bushwakker Brewpub has announced that its Screamin’ Mosquito series of chili pepper beers is back for its annual run. All made using the same blonde ale base, the series features peppers selected for the brewery by Tony Matharu of the India Food Centre in Regina. The first version of Screamin’ Mosquito for this year was infused with Serrano peppers, and will be released tomorrow (May 19th) on tap in the brewpub and in 650 ml bottles at the Bushwakker retail store. Further versions made using other types of peppers will follow throughout the spring and summer.